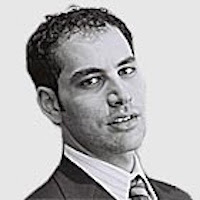 Tareq Baconi, Al-Shabaka Policy Analyst, visiting scholar at Columbia University’s Middle East Institute, and author of the forthcoming book Hamas: Politics of Resistance, Entrenchment in Gaza from Stanford University Press. 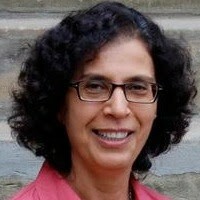 Nadia Hijab, Author, analyst, and Executive Director of Al-Shabaka: The Palestinian Policy Network. 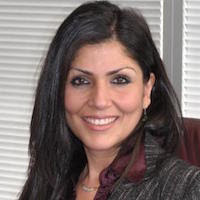 Samah Sabawi, Al-Shabaka Policy Analyst, author and playwright, and board member of the National Council on Canada-Arab Relations. 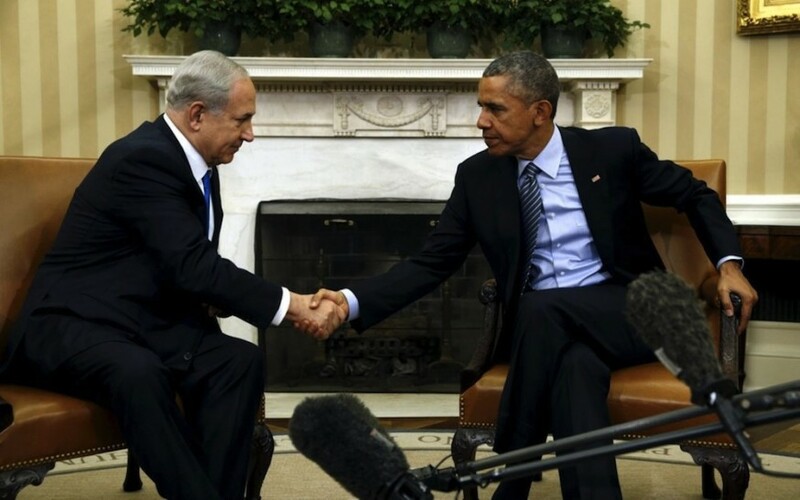 Q - On Monday, President Obama and Prime Minister Netanyahu met at the White House. According to reports, Netanyahu detailed certain measures intended to defuse the current crisis in the occupied Palestinian territories and Israel, including removing some checkpoints and taking steps to improve the Palestinian economy, which is severely affected by Israeli restrictions imposed as part of its occupation regime. Do you think these minor gestures will succeed in calming the situation, even just in the short term? Tareq Baconi - “Israel is not in the business of resolving this conflict, but rather of managing it. As historian Avi Raz has noted in the context of the 1967 war, Israeli leaders took the 'decision not to decide' on the fate of the Palestinian territories in the direct aftermath of the fighting. Since that time, Israeli policies toward the occupied territories have been aimed at pacification: keeping the Palestinians just sufficiently content so they do not resist the occupation. These policies are aimed at ensuring a sustainable occupation and an indefinite grip on the West Bank and Gaza Strip. When violence ensues (hardly an unexpected outcome when an entire population is kept under harsh military rule), Israel takes measures to calm the situation, and restore a reality where Palestinians continue to be subjugated. This cycle is most crudely manifest in Israel’s policy of ‘mowing the lawn’ in Gaza. Samah Sabawi - “Removing some checkpoints and taking some vague steps to improve the Palestinian economy falls far short of addressing Palestinian grievances under Israel’s prolonged military occupation – now in its fifth decade – and affirming the Palestinian people’s basic human rights under international law. Leading human rights groups have documented Israel’s ongoing grave violations of international law over the years, ranging from use of excessive deadly force against Palestinians, targeting of civilians and civilian infrastructure, arrest and detention and sometimes torture of Palestinian political prisoners, including children, systematic destruction of Palestinian homes and ongoing theft of Palestinian land and resources. Netanyahu’s suggestions to remove some checkpoints and improve the Palestinian economy is empty rhetoric meant for the consumption of the news media in order to create the illusion that Israel is prepared to do something to alleviate Palestinian suffering. Meanwhile, the main item on the Obama-Netanyahu agenda is increasing military aid to Israel, thus increasing Israel’s ability to continue its oppression and dispossession of the Palestinian people." Q - Netanyahu has reportedly requested a $2 billion increase in military aid on top of the more than $3 billion worth of weaponry that US taxpayers already give to Israel each year. This, despite the fact that Netanyahu and senior officials in his government have repeatedly and publicly insulted President Obama, Secretary of State John Kerry, and other senior US officials, while continuing to thumb their noses at official US policy, most recently by approving 2,220 new settlement units right before Monday’s meeting at the White House. What message do constant US attempts to appease Netanyahu and his extreme right-wing government, even as they trample prospects for peace and official US policies, send to both Israelis and Palestinians? NH - “Obama’s appeasement of Israeli leaders continues a tradition followed by almost all US presidents of pretending to be an ‘honest broker’ while funding and arming Israel and giving it the political cover of its UN veto. It is disingenuous for the US to claim it has tried and failed when its negotiating position and the majority of its negotiators have been so skewed in Israel’s favor. The US establishment also upholds the myth that there are two sides to this conflict whereas only one side, Israel, is militarily occupying Palestine and preventing Palestinian refugees from returning, in violation of international law. The ‘both sides’ discourse has been one of the most destructive that Palestinians face as they seek to make the case for their most basic human rights. SS - “Obama was clear that his message to the Israeli people was consistent with his and previous US administrations: one of ‘solidarity’ with Israel at the expense of Palestinian rights. Palestinians were hopeful that a fresh approach to Israel/Palestine was possible when Barack Obama began his first term in January 2009. At the time, Israel had just concluded its deadly assault on Gaza known as Operation Cast Lead - a 22-day assault in which Israel killed more than 1,400 Palestinians, mostly civilians. Palestinians were encouraged a few months later when during the first meeting between Obama and the Israeli prime minister, the US demanded that Israel must freeze settlements. At first Netanyahu objected but he later agreed to a 10-month moratorium, which he did not abide by. Indeed, Israel announced during a visit by US Vice President Joseph Biden in March 2010 that it would be building more settlements – much to Biden’s embarrassment. Q - Last week, senior White House officials told journalists that President Obama hopes just to manage the conflict until he leaves office in early 2017. To that end, during their meeting President Obama reportedly urged Netanyahu to refrain from taking further measures harmful to the two-state solution, which Netanyahu does not support despite statements to the contrary made for international consumption, most notably the expansion of Jewish settlements on occupied Palestinian land. Given that his successor is unlikely to devote significant energy to brokering a peace agreement during his or her first term, and that many observers concluded years ago that the two-state solution was already impossible to realize, do you think we will see a serious reconsideration in the near future of Palestinian national aspirations in terms of shifting away from the two-state model and towards a single democratic state with equal rights for Palestinians and Israelis? TB - “This reconsideration is already underway within the Palestinian community, both in the occupied territories and in the diaspora. The prospects for a negotiated two-state settlement, at least in the current constellation of regional and international politics, are unlikely. Many would also argue that they are indeed no longer desirable, given the handicapped state which Israel has in mind for Palestinians. Rather than settling for a truncated version of sovereignty, many Palestinians are calling for equal rights from the authority that rules over their daily lives: Israel. While the most vocal proponents of this shift toward rights are in the diaspora, the real transition will come when Palestinians under occupation and within Israel fully transition toward a civil rights movement. NH - “By admitting defeat on the peace process has this White House dealt a death blow to the two-state solution and should Palestinians revive their national goals accordingly? To a certain extent it depends on what the European Union decides to do. If the EU is really committed to seeing a meaningful two-state solution on the ground – i.e. one with a sovereign Palestinian state in the territory occupied in 1967 – then that might keep enough Palestinians attached to this goal and give hope that it might come about. But the EU would have to take rapid measures to support a two-state outcome. The EU is finally issuing its guidelines on labeling Israeli settlement products this week but this is a feeble move given what needs to be done to not only stop but reverse Israel’s illegal settlement enterprise and enable a sovereign Palestinian state. The European Council on Foreign Relations recently issued a comprehensive report detailing some of those steps. Q - Prior to Monday’s meeting at the White House, President Obama condemned Palestinian attacks against Israelis while defending Israel’s right to “defend” itself, even though most of the current violence is actually taking place on Palestinian land that Israeli soldiers have been illegally occupying for nearly half a century. President Obama also made no mention of reports from human rights organizations and others about Israel’s excessive use of force against Palestinians, including summary executions of defenseless Palestinian suspects. How do Palestinians interpret President Obama ignoring Israel’s far greater state violence, which has resulted in the deaths of dozens of unarmed Palestinians over the last month, while condemning Palestinian attacks against Israelis? Q - If President Obama or his successor decide to try a new approach to decades of failed American polices in Palestine-Israel, as he has done with Cuba and Iran, what would you advise them to do in order to move Israelis and Palestinians towards a true and lasting peace? For further reference, see our recently released fact sheets, Five Questions President Obama Should Ask Prime Minister Netanyahu, Misperceptions on the Crisis in Palestine-Israel, Benjamin Netanyahu: Putting “an End to the Oslo Accords” & the Two-State Solution, Israeli Government Support for the Extremist Temple Mount Movement and our most recent Expert Q&A: On the Current Crisis in Palestine/Israel.